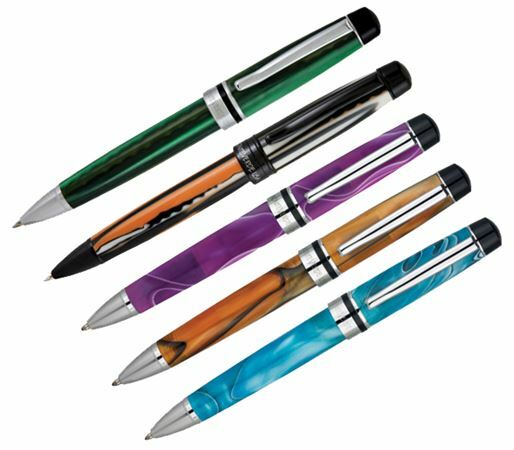 Order your Monteverde Prima Swirl Ballpoint Pen today from FahrneysPens.com. Fine Pens, Refills & Luxurious Gifts – great prices & fast shipping. Hand-made European grade Acrylic Resin make up the Monteverde Prima’s cap and barrel. Accented with gleaming chrome, its sleek shape results in a pen that is ergonomically balanced and a joy to own. The Prima collection is available in a twist ballpoint pen, capped rollerball and fountain pen.